Changing the Guard is an authoritative survey of one of the most controversial aspects of criminal justice and corrections: the growing use of private prisons. When prison privatization began in the United States in the early 1980s, many policy analysts claimed it would increase costs, decrease quality and erode state authority. Has it? Changing the Guard brings together leading criminal justice researchers to tackle this and related questions: Does prison privatization make economic sense? What are the prospects for enlarging prison privatization? Changing the Guard also examines the broader questions that surround the prison privatization debate: What are the historical precedents for prison privatization? What do we know about punishment and recidivism? How long must a prison sentence be to deter crime? Are too many people in prison or too few? Should legal reform take precedence over prison reform to ensure that privatization does not simply make the criminal justice system more efficient at abusing civil liberties and executing legal injustices? Chapter 5 Do We Want the Production of Prisons Services to Be More Efficient? 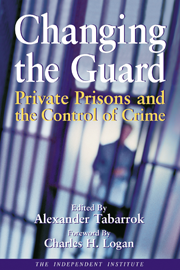 Changing the Guard: Private Prisons and the Control of Crime, edited by Alexander Tabarrok (Research Director, The Independent Institute), examines a controversial aspect of prisons and crime control -- the growing use of private prisons. Virtually unheard of twenty years ago, private prisons are now a big business not only in the United States but increasingly in Canada, England, Australia, South Africa, and elsewhere. Although private prisons now house approximately 120,000 prisoners in the United States, the private sector is still small relative to the total prison population of some 2,000,000 prisoners. In the United States, private prisons have grown because of prison overcrowding and the desire of the states and Federal government to cut costs. Numerous studies now exist demonstrating that private prisons have operating costs approximately 15 percent lower than equivalent public prisons. In addition, private prisons can be located and built more quickly than public prisons. Although there was initially a concern that cost-savings might come at the expense of quality, the data has not borne this out. Whether in terms of physical quality of the prison, legal access, food quality, and other measures, private prisons have been found to be as good as public prisons and sometimes better. Thus after surveying some 333 indicators of quality at two public and one similar private prison, noted prison-privatization expert Charles H. Logan (University of Connecticut) concluded that the private prison outperformed its governmental counterparts on nearly every dimension. Surveys of inmates also find a preference for private prisons because they tend to control violence, committed by staff and prisoners, better than at public prisons (p. 141). Private prisons cannot be evaluated without also evaluating prisons and punishment more generally. Economist Kenneth Avio (University of Victoria) opens Changing the Guard with an analysis of the broader questions surrounding the private-prison debate: Does prison pay? What do we know about punishment and recidivism? How large is the crime-deterrence effect? What is an optimal prison sentence? Are too many people in prison or too few? Avio concludes that, on average, the criminal justice system works, but the system could be improved dramatically if attention were focused on the small number of criminals who commit the vast majority of crimes. Drug offenders and other non-violent criminals are jailed far too much. Private prison authority Charles Thomas (Homeland Security Corporation) provides the empirical context for understanding the debate over private prisons, examining their historical origins, present status and future prospects. Intriguingly, Thomas notes that many aspects of the criminal justice system have long been privatized. Many states, for example, house one-third to two-thirds of their interned juveniles in private facilities. Seen in this light, opposition to private prisons is difficult to understand. Thomas argues that the full benefits of privatization are threatened by governmentalization, i.e., the tendency of contracting agencies to require contractors to run things exactly as a government bureaucracy would, only cheaper. In some cases, private prisons have even been required to have the same menus as their government counterparts! The real benefits of privatization come when private firms are allowed to innovate to find new and better ways of doing things. Flexibility in contract design, however, raises the possibility that private firms will take advantage of the government. Addressing these issues may require careful design of contracts and more attention paid to monitoring outputs rather than inputs. 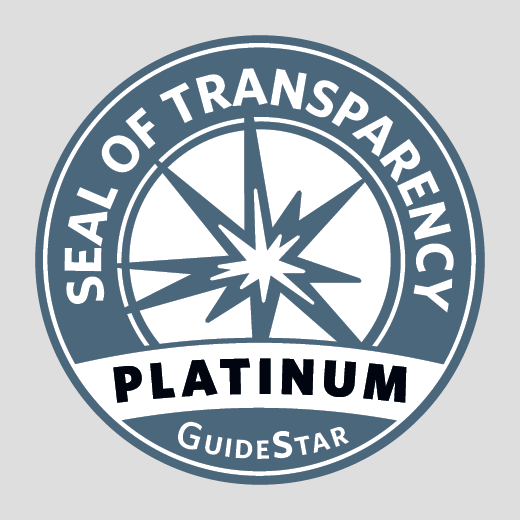 Further diffusion of best practices, such as performance incentives and on-site compliance monitors that have developed in twenty years of contracting, can manage these twin difficulties. Samuel Jan Brakel (Issac Ray Center) and Kimberly Gaylord (DePaul University College of Law) survey the evidence on construction cost, operating expenditure, quality and other factors and find strong reasons to favor prison privatization in the United States. Brakel and Gaylord also examine the moral and ethical arguments against private prisons and find them deficient. Perhaps the most compelling evidence that prison privatization works is that prisoners themselves have few objections to private prisons. However, Bruce Benson (Florida State University and The Independent Institute) raises some objections to prison privatization, even while accepting the findings of lower costs and higher quality. When secondary effects are considered, Benson suggests, prison privatization may be seen as a Faustian bargain resulting in a more efficient way to punish people for victimless crimes or for breaking laws that may be unjust. The Roman Empires private tax collectors, for example, may have raised revenue efficiently, but its hard to see that such efficiency benefited the populace. Thus, legal reform should considered along side prison privatization. Benson himself notes that public law enforcement bureaucracies have been among the most powerful lobbyists for expanding the war on drugs, which increases the demand for their services. The California Correctional Peace Officers Association, for example, was a key funder of Californias three-strikes ballot initiative and is today a key opponent of limiting three strikes only to violent offenders. The union also works to restrict drug policies that promote treatment over imprisonment, Benson notes. Owners of private prisons would also have an incentive to lobby for more prisons, but there is a difference. The union has a virtual monopoly on prison workers, so any increase in prisons benefits its constituents. But even today there are multiple firms that run private prisons; thus, a firm that lobbies to expand prisons in general (as opposed to lobbying to expand its prisons) does more to benefit its competitors than it does to benefit itself. Indeed, as the private-prison industry grows larger, the incentive for any one firm to lobby for general prison-expanding policies declines. Alexander Tabarrok is Research Director for The Independent Institute, Assistant Editor of The Independent Review, and Associate Professor of Economics, George Mason University. He received his Ph.D. in economics from George Mason University, and he has taught at the University of Virginia and Ball State University. Dr. Tabarrok is also the editor of the Independent Institute books, Entrepreneurial Economics: Bright Ideas from the Dismal Science (Oxford University Press) and The Voluntary City: Choice, Community and Civil Society (University of Michigan Press). His scholarly articles have appeared in the Journal of Law and Economics, Public Choice, Economic Inquiry, Journal of Health Economics, Journal of Theoretical Politics, Review of Austrian Economics, Kyklos and many other journals. Dr. Tabarrok is the recipient of the Snavely Award, and he has been an Earhart Foundation Fellow and George A. and Frances Ball Foundation Fellow. Charles H. Logan is Professor of Sociology at the University of Connecticut and an internationally known authority on criminology and private prisons.